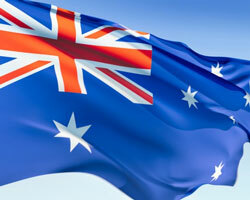 To work in Australia you will need a working visa known as Subclass 457. Do I need any specific tax documents? When you get to Australia you should apply for tax file number, this is a requirement for all people who work in Australia. You will also be required to inform the Australian financial services about your residency intentions. If you plan on being non-resident due to tax then they will need to know so that they can deduct and remit the necessary withholding tax. If you fail to do this you may find yourself handed an unwelcome penalty charge. Is an offshore account useful in Australia? Having an offshore account won’t give you any Australian benefits, however it may still be of use with regards to your home country. Be aware that Australia has recently implemented legislations that may complicate matters for offshore account holders with regards to foreign exchange losses and gains. However if you choose to be non or temporary-resident then any interest reaped via offshore accounts will be exempt from Australian tax. When does the Australian tax year start? Australian tax year begins on the 1st July. How does the Australian tax system work? Tax in Australia all boils down to your residency status and from where you get your primary income. Australian residents must pay tax on any income they make anywhere in the world, and on capital gains. Non-residents have to pay income tax on money made in Australia and on any capital gains from Australian assets. Temporary residents must pay tax on their worldwide income, Australian income and also capital gains. How is my residency determined? You are domiciled in Australia. Your time in Australia has exceeded 183 days. You are part of a superannuation scheme via the Superannuation Act of 1990, or the Superannuation Act of 1976. The question of whether you are a tax resident of Australia is a question of fact and circumstances. It is to be determined on a year-by-year basis by reference to the particular circumstances of each case. The Commissioner has also issued a taxation ruling on the residency status of short-term visitors (two years or less) to Australia. The ruling has focused on the behaviour of the visitor and whether the behaviour is consistent with the person 'residing' there. If you enter Australia on a pre-arranged employment contract for a period greater than six months, the Australian Taxation Office will generally regard you as a tax resident for the entire period of your stay. It should be noted that a period of less than six months might also be sufficient grounds for tax residency if your behaviour is consistent with “residing” in Australia.